Travel Guides: I really hope that I can make a few trips work in the future. I should probably find a job first but that doesn’t mean I can’t start planning. I love Marco Polo guides and wouldn’t mind some new ones in my collection. One of my dream destinations is definitely Thailand. I’m sure it’s absolutely beautiful. I would also love to explore a couple of European cities like Vienna, Munich and Paris. I should also give cities I’ve already been to a closer look. Cologne probably has more to offer than I think. Clipbook: I’m a huge Filofax fan but I think I have enough of their organizers. 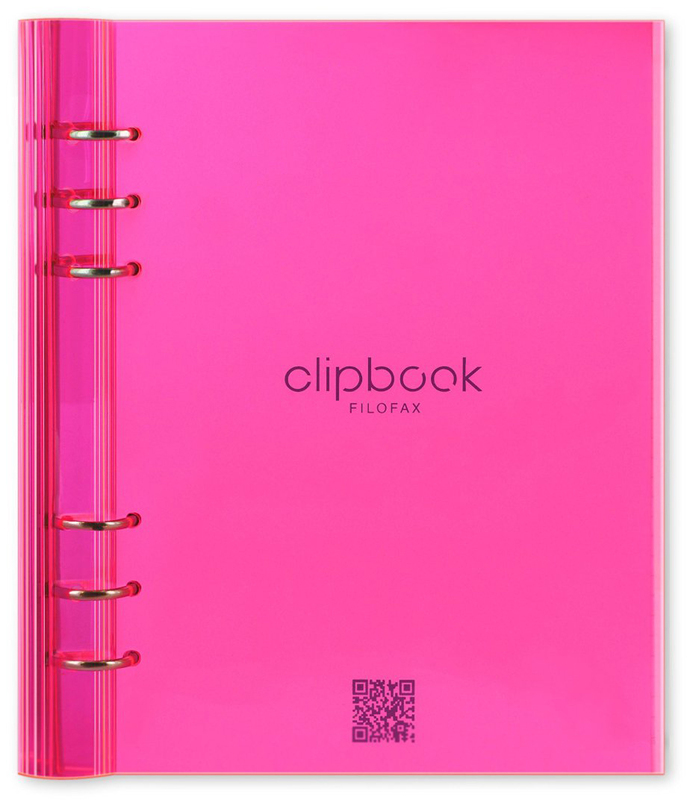 I would love to have their A5 Clipbook in bright pink, though. I would definitely find use for it and you can always make me happy with cute stationery. Disney: You can always give me something from Disney and make me very happy. I’m also a lover of postcards and I found something really cute on Amazon. Two sets of lovely Disney postcards. 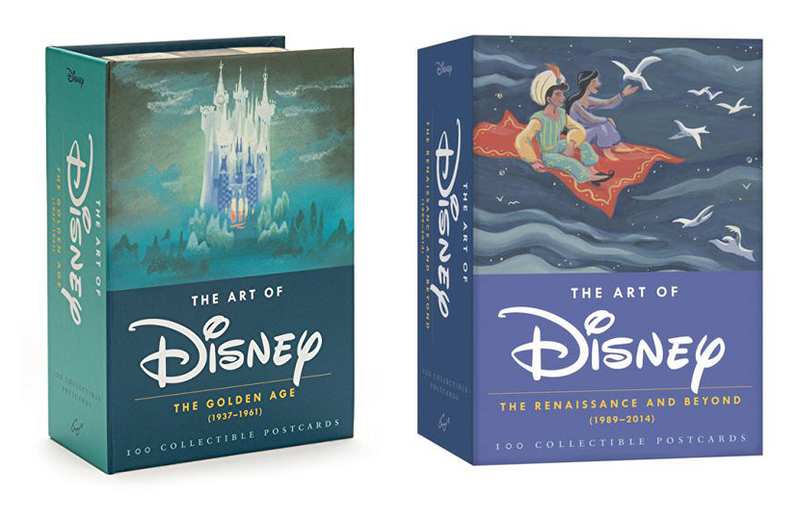 The Art of Disney – The Golden Age (1928-1961) and The Art of Disney – The Renaissance and Beyond (1989-2014). Books: I told myself that I wouldn’t buy myself new books until I read the ones I still have to read. That doesn’t mean that other people can’t give them to me. Personally, I think that books are great gifts if you know what the person likes. I would absolutely love to finally have “Strong Looks Better Naked” by the lovely Khloé Kardashian. I just love Koko. I would also love “Year of Yes: How to Dance It Out, Stand In the Sun and Be Your Own Person” by Shonda Rhimes, “180 Grad Meer” by Sarah Kuttner and “Wild: A Journey From Lost To Found” by Cheryl Strayed. Books make me so happy. Slippers: I don’t know why but my slippers just don’t last very long. I currently have really cute ones with Bambi and Thumper on them but they definitely won’t last forever. 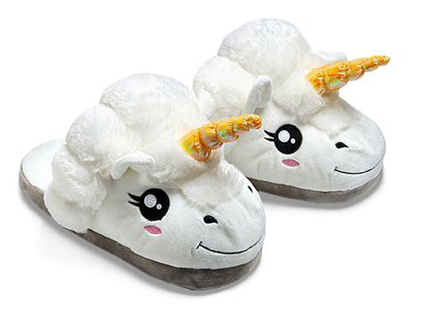 So if anyone wants to get me these lovely unicorn slippers, go for it. Camera: I’ve always been into photography and I always wanted a Polaroid camera. I have an old one but it’s almost impossible to get films for it. 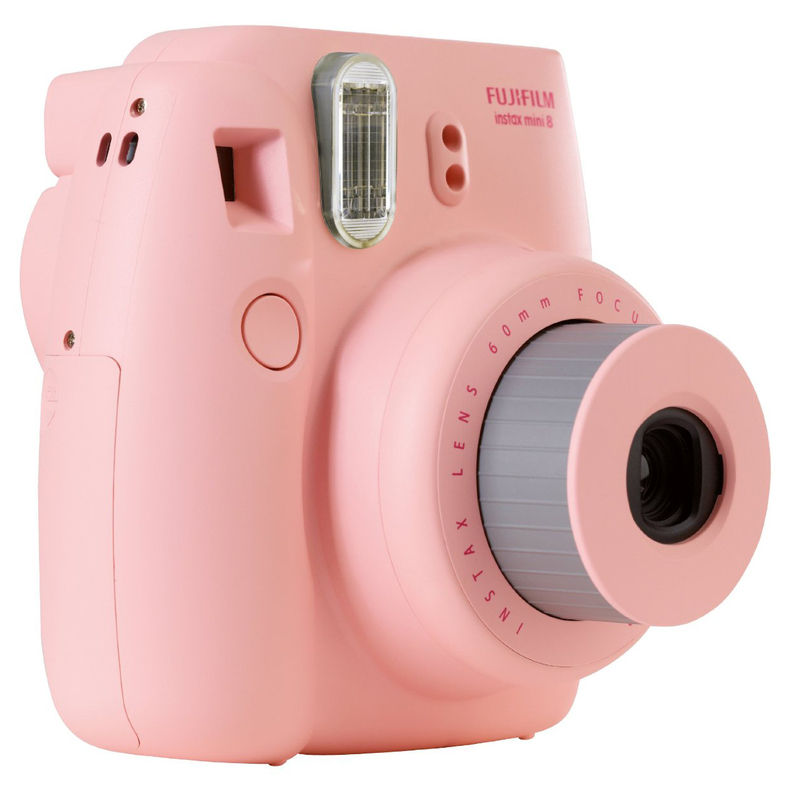 Therefore, I’m thinking about getting a pink Instax mini by Fujifilm. Maybe I’ll get it before my birthday and pay for it with my birthday money. That way, I could take some pictures on my special day. I’m not quite sure yet, though. 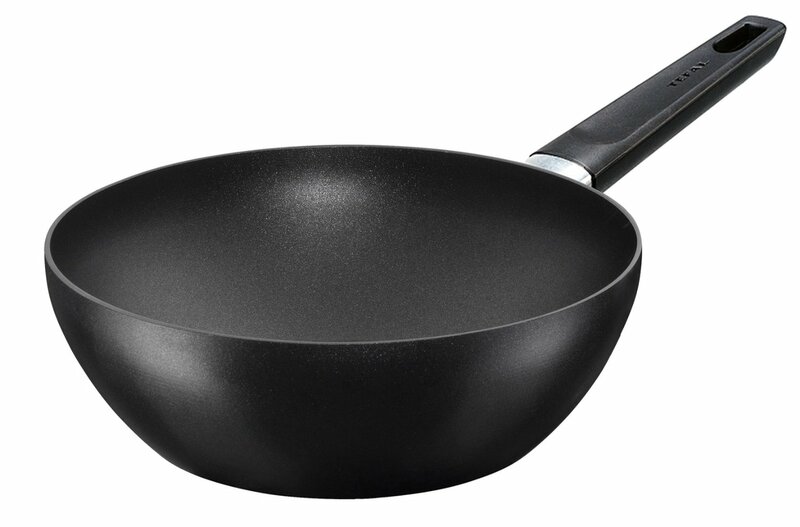 Pan: Yes, you read that right, I want to have a wok pan because I’m really into cooking nowadays and I need proper gear. Once I get my own place, I will go nuts for pots, pans, knives and anything else you need for some proper meals. Coloring Books: I found this adorable Alice in Wonderland coloring book and I want to have it. It’s definitely a new trend for grown-ups to buy coloring books and use them. I’m sure it’s pretty relaxing to color these pictures. I’d also love one called Inspiration Traumreise. This brand has a lot more of them with different topics. And a Harry Potter themed one would also be great. Music: I love to listen to new music and I’m someone who still buys actual CD’s. I know, so old-fashioned. Since I also buy real books, I ‘m staying true to CD’s as well. I wouldn’t say no to Selena Gomez’ album “Revival” or to a new Disney CD such as “I Love Disney.” Make my collection grow. Audio Books: If there is one thing that helps me fall asleep it’s audio books for children. All of them work but there are a few that I would really, really like to have. Bibi Blocksberg – …und die Vampire, Bibi Blocksberg – Das Traurige Einhorn, Bibi Blocksberg – …als Prinzessin, Benjamin Blümchen – Als Gespenst, Der Kleine Vampir, Benjamin und Bibi in Indien, Hanni und Nanni 1 and Hanni und Nanni 2. 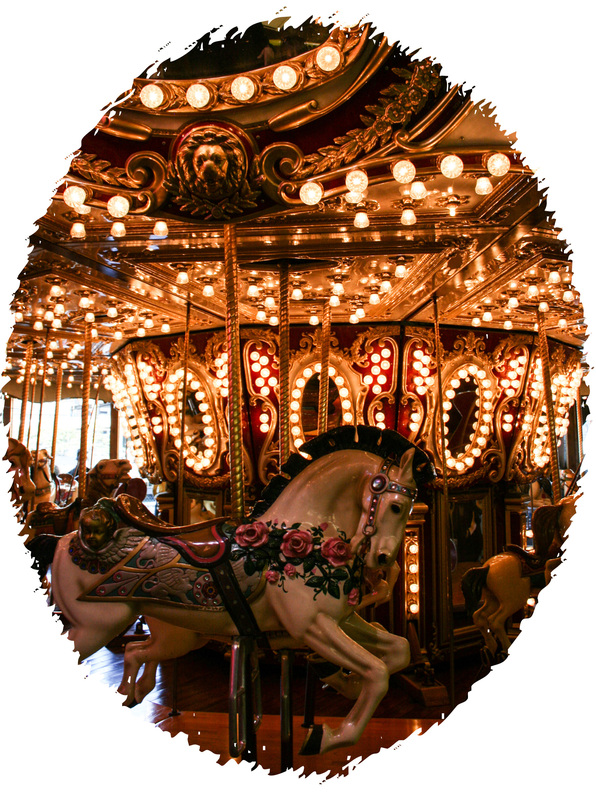 This entry was posted in A Rollercoaster Ride and tagged Alice in Wonderland, Amazon, audio books, Bibi Blocksberg, Birthday, books, camera, coloring book, cooking, Disney, Filofax, Harry Potter, Khloe Kardashian, Marco Polo, music, postcard, read, Selena Gomez, stationery, travel, travel guide, Unicorn, wishes, wishlist. Bookmark the permalink. I love Disney gifts too! I hope you get what you wish for and have a great birthday! Heading over from tonights #USblogger chat on Twitter! Happy birthday beauty! Those slippers!!!! AHHH i need them NOW!